Today, I thought it time to share this story and pictures with you. I asked myself 10 days ago, "Why beauty tips from my friend, Chela require me to get my hairs pulled out? Like seriously!" 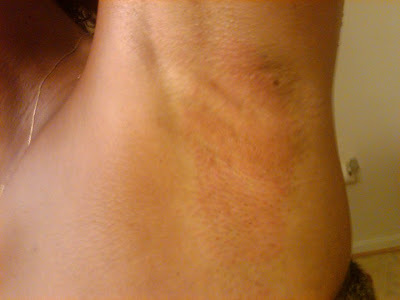 The first time, it was brazilian waxing, this time she suggested that I wax under my arms. I thought perfect timing since Miami Carnival was coming up. After what seemed to be a life time ordeal, my arms were going numb stretched out over my head, as the Asian lady even plucked the stubborn hairs, MANY. The process was so painful and yes, I bled. I could not even put my hands down. I wanted to kill Che. After waxing, always exfoliate with olive oil and sugar. 10 DAYS LATER ... as in TODAY! There is no way, had I shaved it would look like this 10 days later! 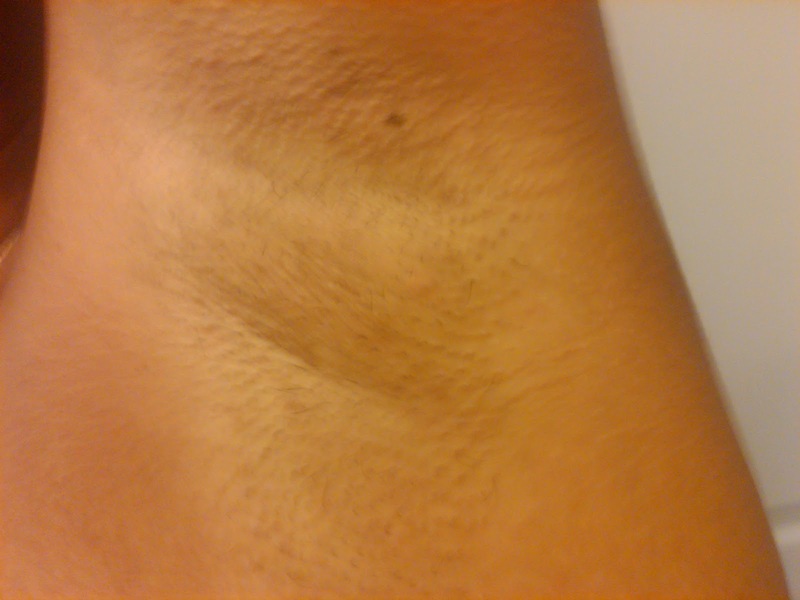 I'm sold on waxing armpits, despite the initial pain!